‘Everybody loves’ Temple LB Haason Reddick; will he make it to Lions? There’s little question that signs point to Haason Reddick being a perfect fit for the Detroit Lions. Whether he will be available at the 21st overall pick in the 2017 NFL Draft is another question entirely. A new article published by the Detroit Fress Press looks at how Haason Reddicks’s draft stock has risen since his breakout Senior Bowl performance. 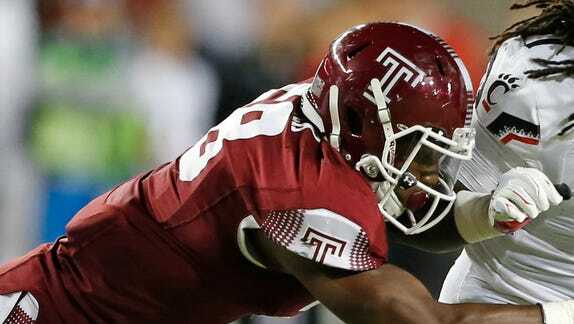 Click below to read ‘Everybody loves’ Temple LB Haason Reddick; will he make it to Lions? from the Detroit Free Press. Source: ‘Everybody loves’ Temple LB Haason Reddick; will he make it to Lions? Previous articleAshley Fisher is our Instagram #WCW!